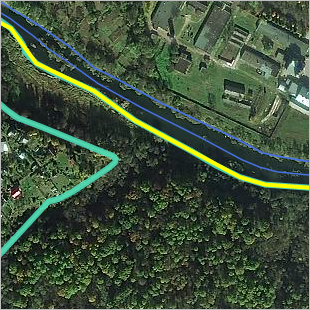 Hydrographic items on Yandex Map Editor comprise three types: polygonal items (reservoirs), linear items (sections of riverbed and channels), and places (springs, wells, etc.). Draw them uniformly (see 2.5.1. Places: drawing techniques. The icon used to represent the item on the map is selected automatically based on its type (see 3.10.2. Rules for adding attributes to hydrographic items. Only draw items on territories that are accessible to the public. Don't draw map items within enclosed areas (shopping malls, airports, train stations, etc.). Place the icon at the place where water collects from the source. 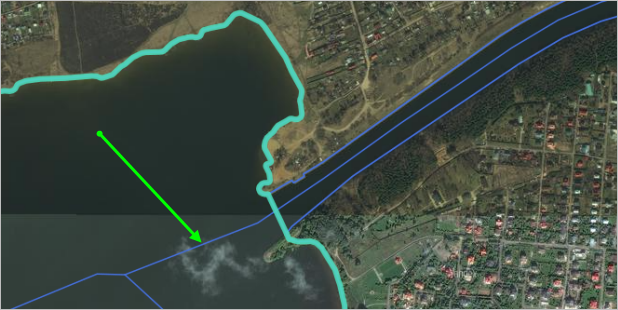 If the spring is located within a small reservoir, then map the reservoir as a polygonal hydrographic item of the “Reservoir” category and place the icon at the spot where the water gathers. Only draw “Spring” items if they are located on land; don't draw underground springs (such as those found in rivers). For single fountains, put the placemark at the actual location of the fountain. 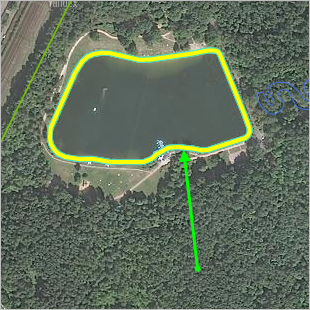 If the fountain is part of a complex that is located within a single reservoir/pool, then map it using one icon and position it in the geographical center of the fountain complex (which may not coincide with the geographical center of the reservoir/pool). Exception: fountains with proper names. Draw these as separate items. If there are several fountains (even if they are close to each other) and they belong to different complexes (including if they are located in different sections of naturally occurring reservoirs), then draw them as separate items. If there is a single waterfall, then put the icon in the geographical center of the item. 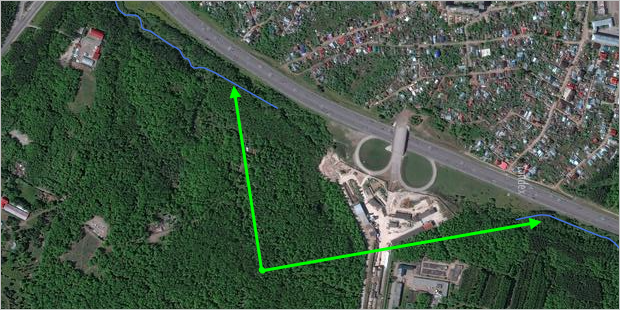 For a cascading waterfall, put the icon in the geographical center of the cascade (ie. where the water flows). If waterfalls have proper names, place separate icons for each named waterfall. Draw all public wells (that are openly accessible and not located on private property). Place the icon at the exact location of the well. 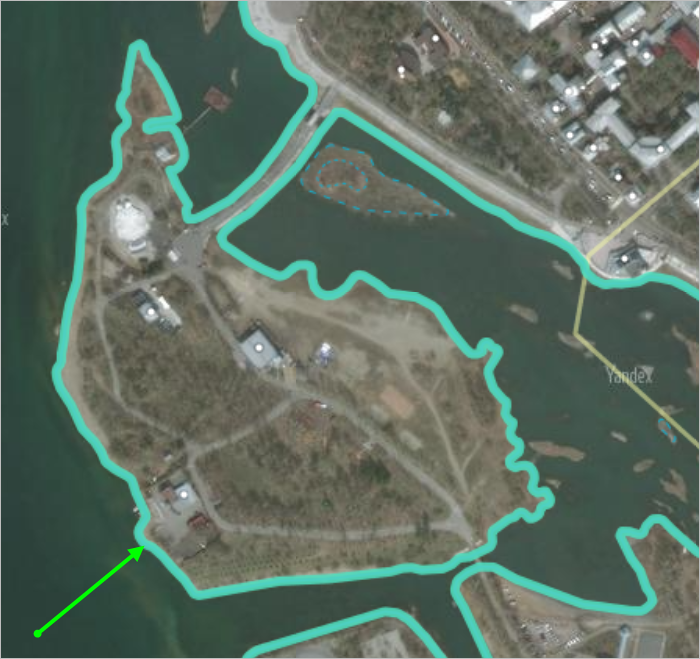 If the fountain is large enough to appear on the satellite image, map it as a polygonal hydrographic item of the “Reservoir” category and place the icon in the geographical center of the item. Draw hot springs as geysers since they emit fountains of hot water and steam under pressure. Place the icon at the exact location of the geyser. Draw public water pumps that are openly accessible and not located on private property. Place the icon at the exact location of the water pump. Don't draw fire hydrants on the map. 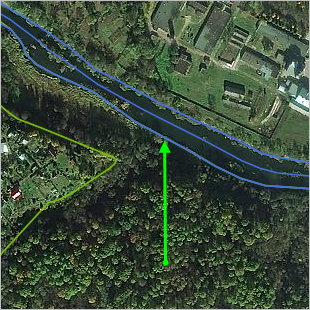 Draw the line either through the fairway channel (preferably), or along the approximate middle of the riverbed. 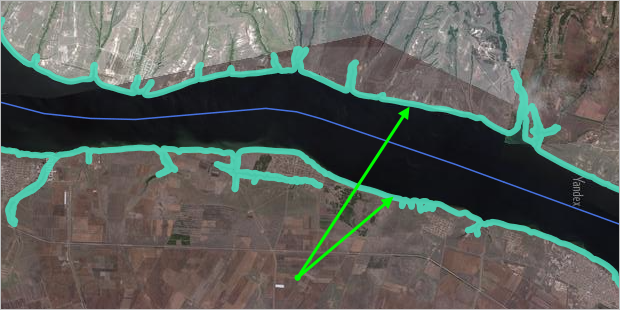 If there are islands on a named river that divide it into separate channels, then draw the main (named) line either along the fairway channel, or along the center of the largest stream. You can draw the remaining streams as separate items of the “small river” type (so that they are not considered part of the main river). If a major river has equally large channels that are divided by islands, you can include all the channels as components of the same river. Drawn in accordance with 2.6.1.1.1. General rules for drawing linear items. 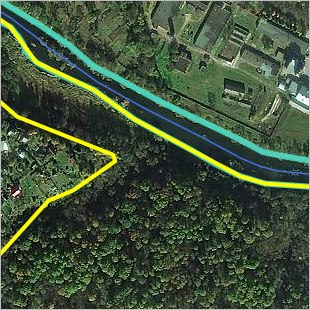 If a river is only enclosed in a pipe where it runs under a road, don't cut off your river drawing in that spot. At the confluence of one rivers with another (as well as areas where one river divides into several forks), connect the streams so that they form one uninterrupted river network. 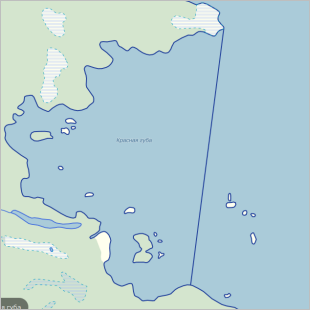 Polygonal items — reservoirs (sections of open water: seas, gulfs, harbors, straits, lakes, water storage basins, ponds, defined water areas), glaciers, swamps, open pools. For rules on adding attributes to polygonal items, see section 3.10.2.2.1. Type. Draw these as composite polygonal items (see section 2.7.4. Composite polygonal items. 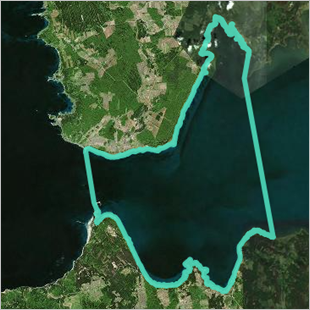 Draw map items of this type only if you can draw their outline based on the satellite image. 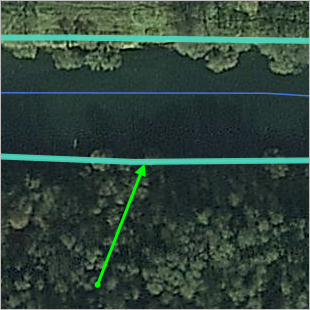 If the definition on the satellite image doesn't allow you to make out the outline of the reservoir, then you shouldn't draw it. You can use polygons to duplicate rivers and channels that were drawn using lines (with the exception of rivers and streams that are drying up) if the satellite image is detailed enough to allow you to do so. 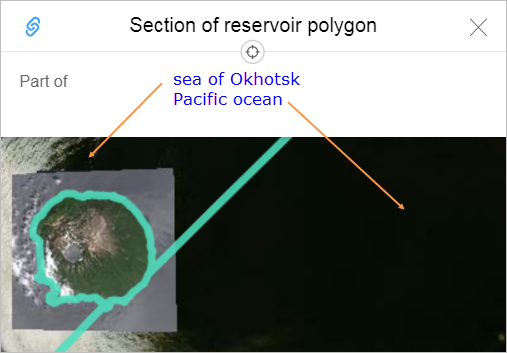 If it's not possible to draw the river in its entirety (because it extends for a long distance, for example) then enter the polygon as a compilation of several smaller ones. You should then combine these polygons into a single unified one. Include parts of a reservoir that are located under bridges. Acceptable: small overlapping areas of polygonal items. Unacceptable: gaps between bordering items. For information on drawing overlapping border sections of complex polygons, see section 2.7.4.1. Composite polygonal items: creation techniques. The contour of a water feature should not include the contour of a island. You should not add new external polygons to un-named hydrography items: drawing such polygons usually leads to mapping errors.